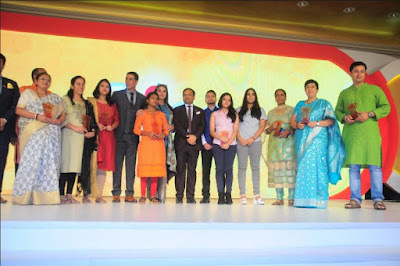 The story of the most loved god, ‘Vighnaharta Ganesh’ telecasted by Sony Entertainment Television has won hearts across audiences and has crossed the landmark number of 200 episodes. Produced by Contiloe Pictures Pvt. Ltd. ‘Vighnaharta Ganesh’ is the first Indian television show to use motion capture technology to display a wide number of special effects to highlight a realistic mythological look for the entire ensemble to capture viewer attention. Going forward, from 4th June 2018 onwards, the show will be telecasted at a new timeslot of 7.30 pm every Monday to Friday on Sony Entertainment Television. 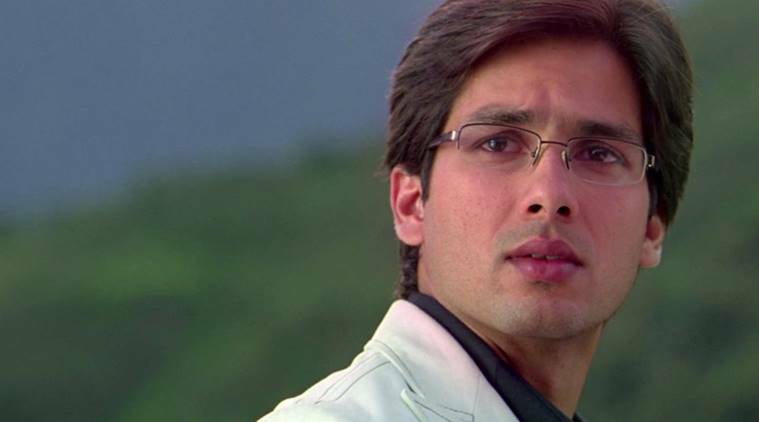 Shahid Kapoor is known to manage both his professional and personal life very well. The actor had planned to go on a vacation with his wife Mira Rajput and daughter Misha Kapoor in June. However, since the last schedule of his upcoming film Batti Gul Meter Chalu directed by Shree Narayan Singh resumes shoot in June, Shahid has decided to call off the vacation. Along with the shoot, Shahid will also start his preparation for the Arjun Reddy remake which includes workshops with behavioral experts. According to a source, "Shahid had decided to spend quality time with Mira and Misha [daughter] in June before he begins training for Arjun Reddy. But now that the Batti Gul schedule is likely to run into June, he has called off the trip. He wants to ensure that his commitment to this film doesn't spill over to that of Arjun Reddy, the shoot of which is lined up for July." A source adds that Shahid will juggle between the shoot of Batti Gul Meter Chalu and prep workshops of Arjun Reddy, "Shahid will be filming Batti Gul in the mornings. His evenings will be dedicated to MMA training for Sandeep Vanga's film. He needs to beef up for the remake. Besides undergoing dietary changes, he will alter his fitness regimen to include weight training." Batti Gul Meter Chalu also stars Shraddha Kapoor and Yami Gautam. Amyra Dastur is one personality who sure won’t stop to keep surprising her fans and audiences. The actress may look pretty and dainty, but don’t be mislead by that. The actress is a tough cookie and a fitness freak who sure can kick some if the need be. The actress who loves experimenting with her fitness schedules is now taking upon a new form of fitness. The actress has joined a new tutor to learn the art of gymnastics. The idea behind the new love is to become better as a dancer as Amyra truly feels that to become a great dancer one truly needs to be flexible and there’s no better way to achieve that than to do gymnastics. The actress has now committed to taking three classes a week where she’s learning the intricacies of gymnastics from an expert. On the work front Amyra will next be seen as the lead in Deva Katta's Prasthanam opposite Ali Fazal and Sanjay Dutt, in Leena Yadav's Rajma Chawal alongside Rishi Kapoor and with Raj Kumarrao in Prakash Kovelamudi's, Mental Hai Kya. Actress Rasika Dugal is best known for her films Qissa, Tahaan, Kshay and award-winning short films like The Schoolbag and Chutney, has now garnered a lot of praises at the recent Cannes Film Festival where her soon to release film Manto had its world premiere. Rasika has proven her versatility as an actor time and again with the variety of roles she chooses to perform. After winning rave reviews for her performance in the short film Chutney, she will be soon seen in a web series tentatively titled Delhi Police. Rasika who is known for doing roles that are always challenging will be seen donning the role of an IPS officer for the first time onscreen. Delhi Police is an eight-part crime drama series, based on high profile criminal cases. The drama involves investigation around these cases specifically hunting down the perpetrators and bringing them to justice. Rasika is playing a very pivotal character who is a smart and strong police officer who tries to crack the down the cases along with his team of able police officers. The show also features other talented actors including the likes of Shefali Shah, Adil Hussain, and Rajesh Tailang amongst others in pivotal roles. Delhi Police is been directed by Indian Canadian director Richie Mehta who has directed critically acclaimed films like Amal and Siddharth. The show is produced under the banners Golden Karavan and Ivanhoe Pictures. Biopics are not pioneering in Indian Film Industry any more. But this particular biopic genuinely attracts attention, because it’s all about the youngest Nobel laureate Malala Yousafzai, who got shot in her head and neck by talibans for going to school. Everyone knows the after story,but what they don't know is how she became this big. The controversial Indian film director Amjad Khan is making the biopic on her earlier journey and on those circumstances which made her the inspiration to the whole world. The biopic is named as ‘Gul Makai.’ When asked about the title selection, Director Amjad Khan said, “When she was 11 years old, BBC Urdu approached her to write a blog about the life under talibani torture, and she used Gul Makai, as the pseudonym. Education is as much as necessary, as the importance of Oxygen to be alive”. The filmmaker has chosen this subject and even decided to donate the first day’s worldwide collection to Malala fund. He shot the whole action sequences in Bhuj with 16 camera set up and a huge team of 1200 people. “I opted for FTII and NSD passed out actors for even a minor role, who know how to hold a gun properly. The other well-known thespians are late veteran actor Om Puri, Atul Kurkarni, Divya Dutta, Arif Zakaria, Mukesh Rishi, Abhimanyu Singh, Pankaj Tripathi, Sharib Hashmi and many more. Apart from the merit, director opted for the actors, who resembled the faces of the real characters. 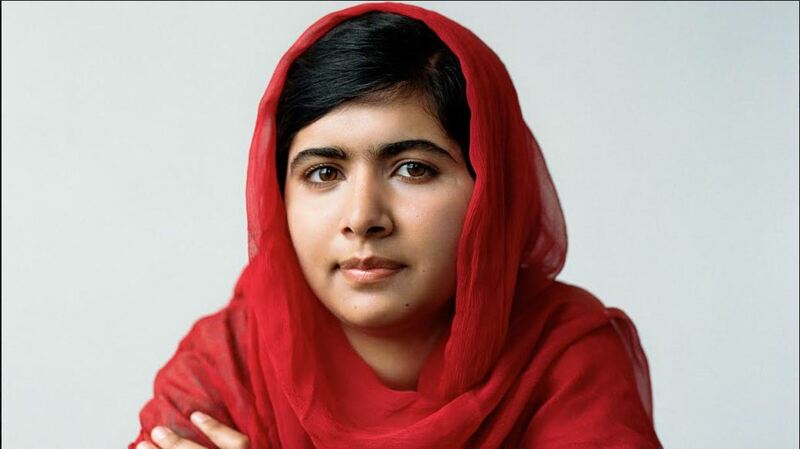 Child artist Reem Shaikh is portraying the reel Malala Yousafzai. “I used 16 cameras throughout the film. By that you get your desired shot without interrupting the performance of the actors. Some scenes were really high in drama, and I don’t believe in capturing drama in cut shots.” Amjad Khan explained when we asked him why he has used so many cameras at a time. He also recreated Malala’s home and school as it used to be. Even the furniture and computer, the crockeries and the attire, her school dress, school bag as it is. Amjad Khan also said, “It took two long years to finish off the research itself. And took another couple of months to write down the screenplay and dialogues. The research and writing is done by Bhaswati Chakrabarty. She is a perfectionist, I don’t think any other person could have done this so nicely”. Amjad Khan himself penned down and composed the music. “The title song is written by Bhaswati Chakrabarty and the rest are penned down by me.” He said. Amjad Khan even convinced Late Om Puri ji to sing a song for the film. Actor and singer Piyush Mishra also sang a song and Amjad Khan also accompanied him in this particular song as a singer. The biopic is all set to release on the second half of this year and produced by Sanjay Singla and Vijay Jaju. 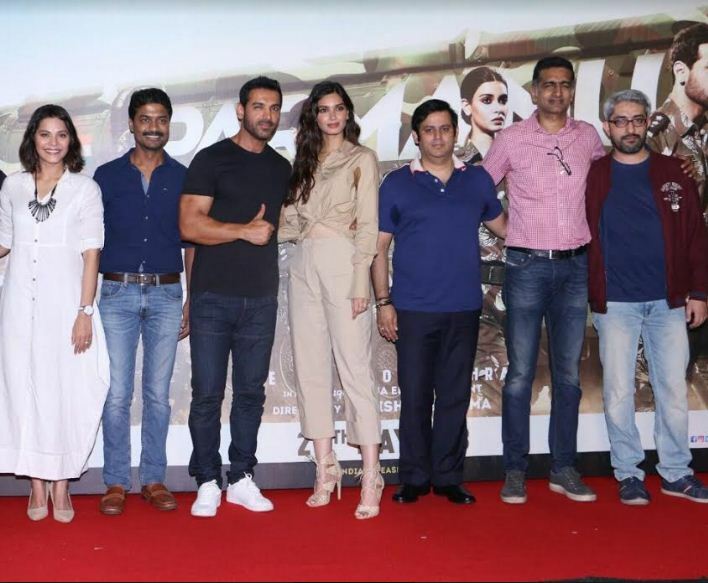 At the trailer launch, John thanked the entire cast and crew for standing with him through this journey and gave a special shout out to Ajay Kapoor. John said, 'Mr. Rockman, Ajay Kapoor has really stood by me in the entire process right from the start." When asked about his contribution towards helping John throughout the process, Ajay said, "I was with John before, I am still and will always be with him. This film is very important for us, we wanted the audience to be able to see the film in theaters." The two of them have been standing with each other through thick and thin throughout the legal process. 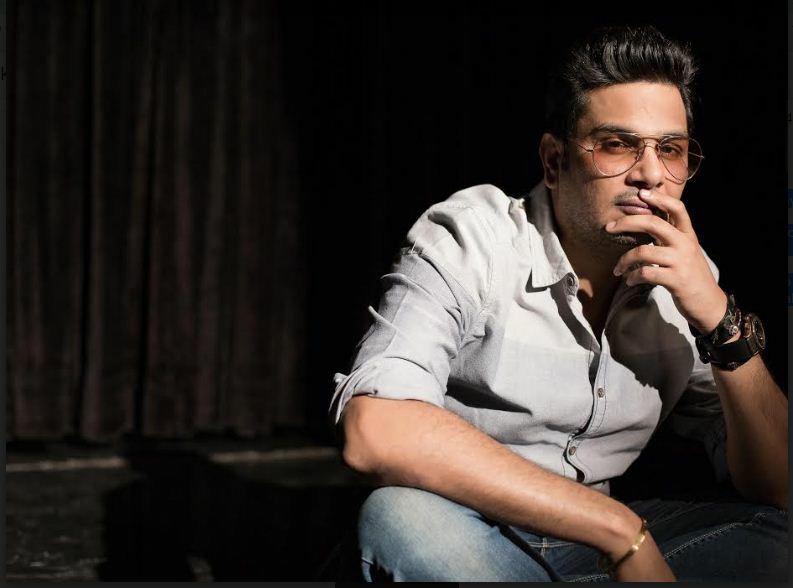 Renowned actor, producer and business magnate Sachiin Joshi is all set to return to the big screen this year. The actor who is known for his work in Telugu cinema and Bollywood will be seen opposite Nargis Fakhri in the upcoming thriller 'Amaavas'. 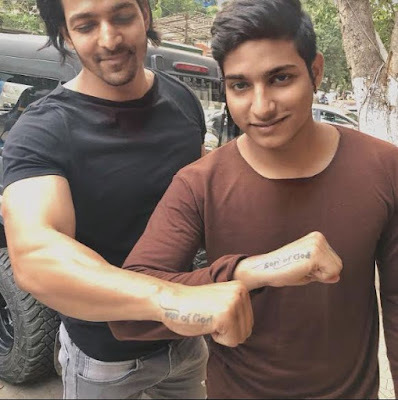 Sachiin made his Bollywood debut in 2011 with Aazaan, post that he was seen in film Mumbai Mirror which also had Prakash Raj and Aditya Pancholi. The actor was last seen on screens in the Sunny Leone starrer 'Jackpot' and is now all set with his next 'Amaavas' opposite Nargis Fakhri. Sachiin Joshi and Nargis Fakhri have wrapped up the 35 day schedule of Amaavas in London and is back to the city. Sachiin dons a broody avatar for the thriller and looks handsome as always. The actor will soon head to Europe to shoot the film's songs along with Nargis Fakhri. Sachiin Joshi will be seen in a thriller for the first time and it's something his fans are eagerly looking forward to. Viu’s ‘What The Duck 3’ gives us some of the most insightful look into the lives of our beloved cricketers. In the third episode of its latest season, everyone’s favourite brother-duo, the Pandya brothers divulge into some truthful conversations about their cricketing as well as personal life. “Chris Gayle was always one of my favourites. When I play against RCB, I would imitate him by doing his gestures. The same ones that he does when he is about to bat. Just for fun. They are extremely chilled out” Krunal added further. For more insider stories visit Viu India channel on YouTube or follow #YouTubeCricketStories. Episode will also be available on Viu app and viu.com. Mukesh Chhabra celebrated his 38th birthday by hosting a star-studded birthday bash at a plush restaurant on 26th May, 2018. Among the stars that dropped in to wish the birthday boy included superstar Salman Khan with Sohail Khan, Anil Kapoor, Kabir Khan, Kartik Aaryan, Fatima Sana Shaikh, Sanya Malhotra, Sidharth Malhotra, Sunil Grover, Dino Morea and Chunky Pandey among others. While Salman made his presence felt and interacted with the crowd merrily, Ayushmann Khurrana and Rajkummar Rao set the dance floor on fire. Anil Kapoor turned up and interacted with his Race 3 co-stars Bobby Deol and Saqib Saleem. 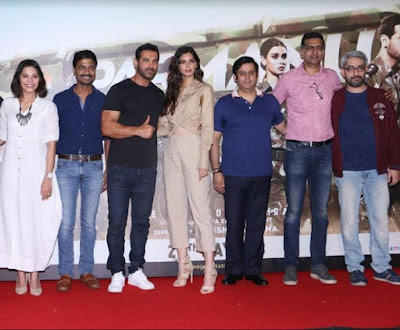 Filmmakers Imtiaz Ali, Kabir Khan, Nitesh Tiwari, Ekta Kapoor and Krishika Lulla and cricketer Hardik Pandya were also spotted. Amitabh Bachchan and Rishi Kapoor starrer 102 Not Out has received exemplary responses from the audiences. 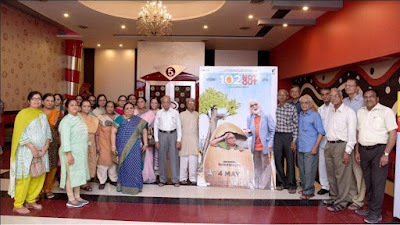 This ageless comedy has won the hearts of millions of people who watched the film and this response has encouraged the housing societies to take senior citizens to watch the film across India. As part of Bhamla Foundation's #BeatPlasticPolution project, activist-philanthropist Asif Bhamla, teaming up with Chal Rang De, brings new colour and thought process into the lives of the common man who walks the Carter Road Promenade to get fit. Bhamla Foundation, powered by the youth brigade, is now painting the promenade with thought provoking words to curb plastic pollution. 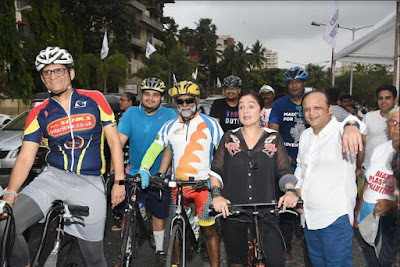 Spotted at the do were Pooja Bhatt, Gracy Singh, Shaan, Asif Bhamla, Sharad Ughade,Meraj Husain, Saher Bhamla, Sanya Bhamla, Sohail Khan among others. “The idea is to have an attractive and colourful walk area and at the same time, put the thought across, " avers Asif Bhamla. Looking at the cheerful volunteers, this looks like a colourful message that will surely work to beat plastic and save Mother Earth! Yours to be part of the Carter Road Beautification and Pledge to Discard Single Use Plastic and contribute to #BeatPlasticPollution. Turn Eco Champ today! 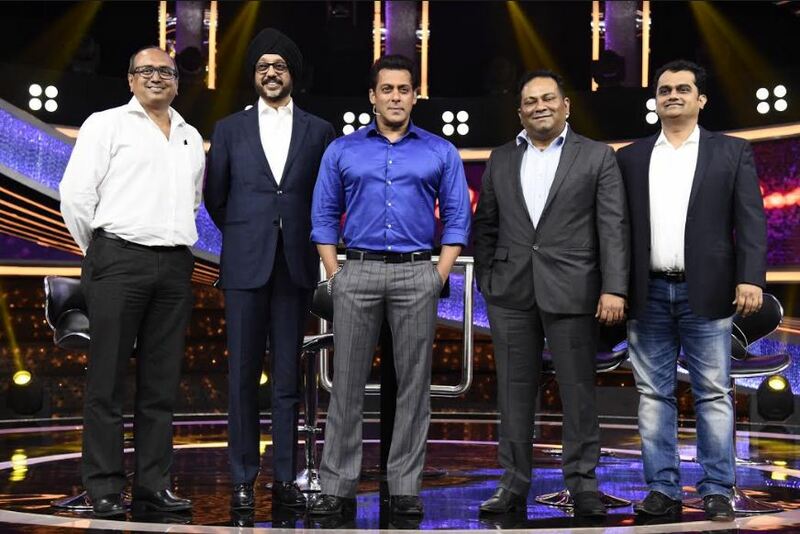 When the most loved actor from the Indian film industry, Salman Khan, asked “Kitne Pratishat Bharatiya…” on Sony Entertainment Television (SET) in his inimitable style and charisma, he got the entire nation hooked on to Dus Ka Dum. That was in 2008. The show, that saw the debut of a superstar on Indian television, is all set to come back after 9 years with the very same superstar. It will give an opportunity to millions of aam aadmi of the nation to test their power of observation. Dus Ka Dum, promises to be sau pratishat (100%) enthralling and interactive. 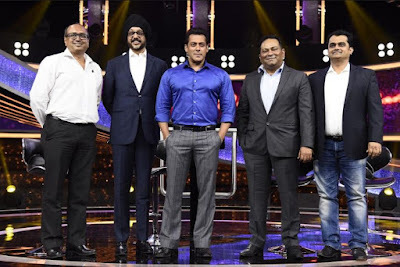 Staying true to the insight Ye Khel Hai Anumaan ka, Salman ka aur Poore Hindustan ka, Dus Ka Dum packs a punch with its riveting format, new madats (assists) through the three rounds and a lot more interactivity. Even before its launch, Dus Ka Dum has registered a whopping 1.5 million people taking part in its survey on the SonyLIV app, giving people an opportunity to audition for the show and stand a chance to play the game as a participant on television. The format is simple and appealing giving participants ample time to interact with their beloved star as well as revel in their victories. The first round will see two participants compete through 5 Ka Punch which is a knockout round. The player who answers at least 3 questions correctly out of 5, moves to the next round while the other contestant gets knocked out. Each question in this round is worth Rs. 20,000/- and the contestants will get 15 seconds to lock the estimated percentage on their respective screens. The madat (assist) available in this round will be Strategic Timeout where the contestant can consult with their families to arrive at an answer. Even the eliminated contestant doesn’t go empty handed! The second round is called 10 Guna Dum where the participant stands a chance to multiply the earnings from round one to Do Guna, Chaar Guna, Cheh Guna, Aath Guna or Dus Guna. The contestant has to set an estimate window on the ‘India Meter’ instead of an absolute percentage number. The madats (assists) available in this round are – Andaza Apna Apna, where the contestant can take help from studio audience and Dumdaar Daayra, where the obsolete bracket on the India Meter will be disclosed making it a lot easier for the participant. While the contestant must play all the five questions, a minimum of three right answers in this round leads the contestant to the last and final round which is aptly titled Super Sawaal. This is the most edgy and nail-biting stage in the game! The correct answer gives the contestant 10 times the amount earned in the second round. But the wrong answer will leave the contestant with only 10% of the amount won in the second round. However, the contestant can choose to quit the show if in a dilemma and claim the money won in the second round. 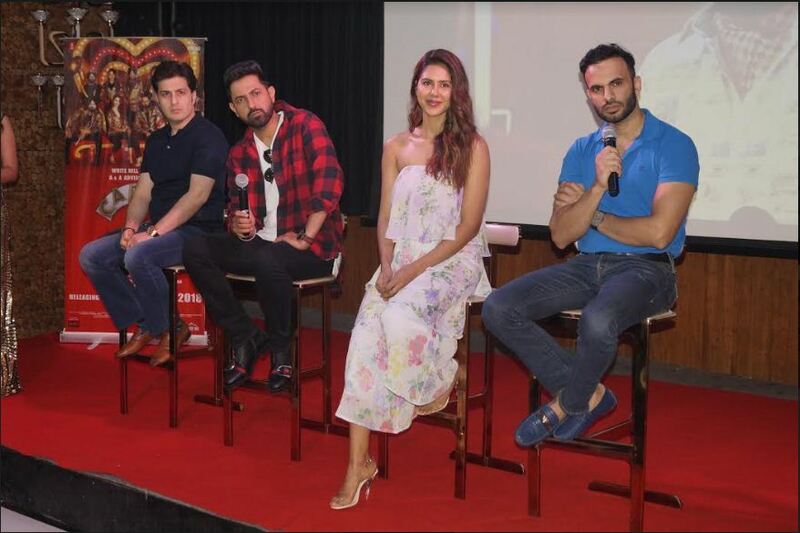 Produced by Big Synergy, this new season of Dus Ka Dum boasts of an all new format re-designed and developed by the in-house creative team of Sony Entertainment Television (SET) and Sony Pictures Television, UK. With its TV + Digital approach, the show promises to deepen engagement with the viewers. A luxurious car event “Off Roading” was organized by Mud Skull 4 by 4 in Mumbai. 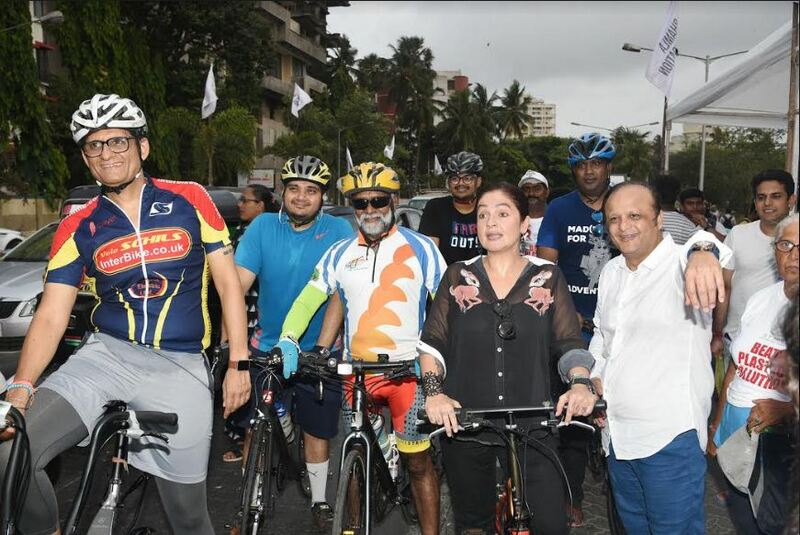 There was a car rally which includes almost 100 SUVs cars from Bandra sea link to Nariman Point on 27th may, 2018. The event was flag off by TV actress Shama Sikandar and Sahil Khan. All the participants were keen, energetic and dynamic at the event. In these days youths are increasingly enthusiastic about adventure sports, Bollywood is also associated with such adventures sports. In the same way, TV industry actress Shama Sikandar is ready to convert her depressed life into a happening one and wants to do something new in the future. Shama Sikandar and Sahil Khan is associated with adventures sport Off Roading’s series of events which collects together the adventure with car racing and SUV cars. Mud Skull's Off Roding events started by Sam Khan, Subodh Singh and Ashish Sharma In the next phase of Off Roading event, there will be a big rally on July 7, 2018, at Karjat. Participants will enjoy the adventure of two events. On the occasion, Shama Sikandar said that life is all about living to the fullest no matter what has happened in the past. As there is saying "you only live once”. She further said that life gives us daily challenges, so let's face it. She is really excited to be a part of Mud skull 4*4 off Roading adventurous event. As nothing is impossible in this world, he just has to put his mind in it and maintain the positive attitude. On positive thoughts towards the life she said once you replace negative thoughts with the positive ones, you will start getting positive results. Actor Akash Singh Rajput is thrilled to be part of Siddharth Kumar Tewary’s Porus. 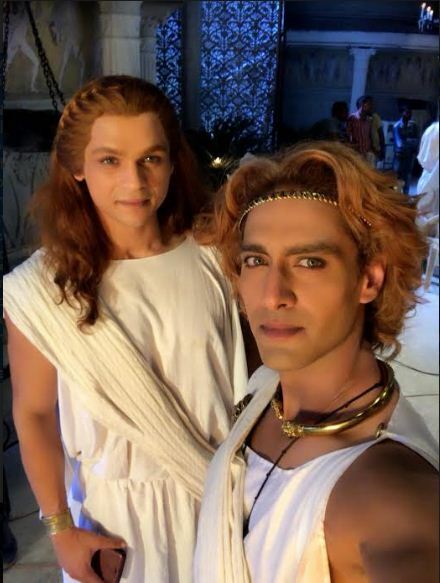 The actor, who plays the role of Hephaestion in the show, says that he developed a love for history about school, which is why he loves being part of Porus as well. “To be honest, I use to sleep during my history classes in school because as a child you don't find any interest in history and I was only thinking about the future. I got interested in history after my schooling. We Indians have a super history like no other country. Slowly, I started reading up of civilizations and dynasties. It is very important to know about your history before you create your future,” he says. Talking about his character, he says that his friendship with Alexander was what made him unique. “Hepahestion was a Macedonian nobleman and a general in the army, 1st in command after Alexander the Great. He had been brought up with Alexander from childhood and shared all his secrets. He was the only trusted and loyal friend of Alexander. Their friendship lasted throughout their lives and was compared to Achilles and Patroclus. (troy) He helped Alexander in commanding the cavalry and helping him encountering many tasks during Alexander's winning war. He was with him all his life and was known for his loyalty and loving friendship with Alexander. After Hephaestion death, Alexander celebrated his funeral for eight months and announced him as Divine Hero. Alexander died after eight months of his death,” he says. Coincidentally, Akash shares a great bond with actor Rohit Purohit too, who plays the role of Alexander in the show. “Rohit Purohit is my big brother. A fabulous actor, brave heart and my Alexander for life. He has been working in this industry for long and has a lot of experience with him. It is really a pleasure working with him and watching him live in front of me. As a newcomer, you get to learn a lot from experienced actors like him, both on and off screen. He is very supportive and is constantly teaching me. To help develop our bond on screen, we often try to meet off-screen too, to get to know each other. He treats me like a younger brother and reminds me of my elder brother,” he says. However, the actor adds that it’s challenging to play a historical character. “It's always difficult to play a historic character. I started learning horse riding, sword fighting and tried to develop many behavioral skills like that of the Romans.